The famous Operating Systems used today are Windows, Android and MacOS. Amongst these, people prefer Android the most. Android has been growing on a large scale in recent years. Many versions have been launched, and all are far better than the previous one. This story of Android began on November 5, 2007. The recent version of Android is Android 7 that was released on October 4, 2016. Its name is ‘NOUGAT’. It has various features such as Improved VR thread scheduling, metadata for enhanced wallpaper, manual storage manager, etc. There are many Android Phones available at low prices. It is the most convenient platform for people who want to use smartphones. It made life a lot more comfortable and better. We use Paytm to pay all the bills, Ola or Uber to use travel and various shopping apps to shop. And not just that, there are many social networking apps to stay in contact with friends and family and then there is bookmyshow to stay updated with various events and movies and also book tickets online. Other apps such as m-indicator, healthifyme, etc. are also very helpful. So, there are many such applications that we use daily, and it makes us spend less time on unwanted things. Because we use our smartphones from waking up early in the morning to sleeping at night, we need to take care of battery of our phones. Many smartphones, these days have turbocharger which is considered as a supercharger. When you charge your phone this way, it gets fully charged in around 30 minutes maximum, and you can use it all day. How cool is that?! Even though you can carry power bank everywhere you go; it’s much better to have something readily available on your phone. As Android is in such high demand, there are various apps designed to save the battery of our phones. We can install such apps on our phones and save battery for a long time. Even though it takes some of the memory, it works well when you need to save battery for a longer time. DU Speed Booster and Cleaner cleans cache files and also cleans junk files. It makes your phone work faster. It keeps the device safe and makes it look completely new. It is also an antivirus app. It has an optimized performance. It is for free and is very fast. It is one of the most used apps for cleaning the phone and boosting its speed. This app has great advantages. Battery Booster helps in dealing with various battery conditions with ease. It helps when the battery starts to drain. It provides the accurate battery information. It also keeps track of recent battery changes and the processes. It is the best app for preserving battery life. It can be installed for free and is worth. Fast Charging is the best app for this purpose. It boosts the charging speed by 20-40%. It automatically turns off wifi or 3G. It limits the power consumption of phone or tablet. Because of this app, less power is consumed, and so the phone or tablet gets charged very fast. This app is very useful. DU Battery Saver-Power Saver makes the battery last for a longer time. With the help of this app, you can solve the problems related to your battery and extend the battery life. This app has all the bugs fixed and is highly optimized. It has enhanced the user experience all over the years. It is also for free with many benefits. It is used these days very commonly and has great results. It's a very useful app for saving the battery of your phone. Along with battery saving, it includes toggle control and power testing too. It improves the battery performance. It gives you all the details required for your battery performance and battery life. It makes the charging process safe. Fast Charger Plus RAM Cleaner is used for rapid charging as well as cleaning the RAM of the phone. It cleans RAM automatically. It is multifunctional. It is the smart app for a smartphone. When you start charging using this app, it will shut down all the processes like wifi, Bluetooth, etc. that consume phone’s battery. Because of this, the battery is boosted. And once the charging is done, it will auto-resume be all those activities again. It extends the life of the battery as well. The Multifunctioning is the best feature. Super Fast Charger 5x is an app whose functions are very similar to Fast Charger Plus RAM Cleaner. Even this app shuts down all the battery consuming activities running in the background and just concentrates on the fast charging of the phone. This app also enhances battery life. It is free. Adding to all this, Super Fast Charger 5x also displays details such as Battery Voltage, Battery Temperature, Battery health and also Battery Technology. It is suitable for all Android phones. Battery HD is a unique and helpful app. This app monitors the battery very well. It is simple and can be easily calibrated with any device. It can quickly calculate how many hours are left for you to: GPS navigation, Internet Browsing, Time left to recharge, Watching Video, Listening to Music, Standby, Taking Photos and recording videos. On the new devices, you need to take the calibration test at least once to see if the app will work on that device or not. Battery Master- Save Power is another modification of all the apps mentioned above. It is an Intelligent-charging app. It extends the battery life in 3 phases: fast, continuous and trickle. This app also turns off everything while charging and turns them on the minute phone gets fully charged. It is easy to use and is free of cost. Snapdragon Batteryguru optimizes the device functionality in smartphones. It uses Snapdragon mobile processors. This app doesn’t require any user configuration. There is seven day trial period available.In that period, the snapdragon battery guru learns and understands the system and also operates in the background. It is different than the usual apps. 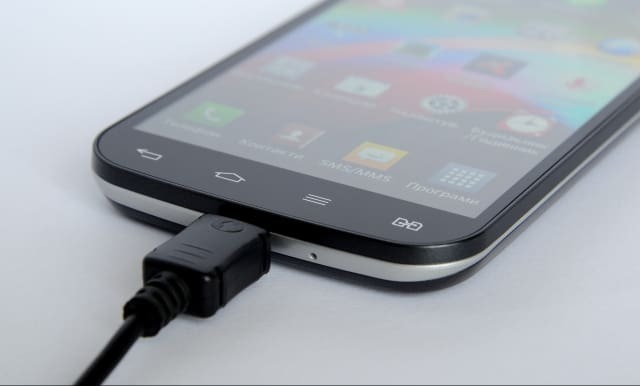 So, these were some of the best fast charging apps for Android.